Situated on the boardwalk, this spa hotel is 2.8 mi (4.5 km) from Pennisula Hot Springs and within 6 mi (10 km) of Rye Beach and The Dunes Golf Links. Ace-Hi Ranch and National Golf Club are also within 6 mi (10 km). 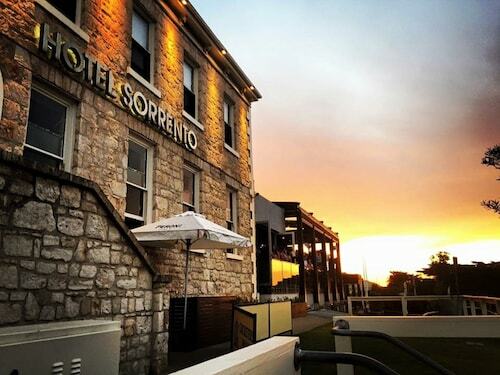 Situated in Mornington, this hotel is 1.3 mi (2 km) from Mornington Country Golf Course and 2.6 mi (4.2 km) from Mornington Racecourse. Barmah Park Wines and Frankston Arts Centre are also within 9 mi (15 km). 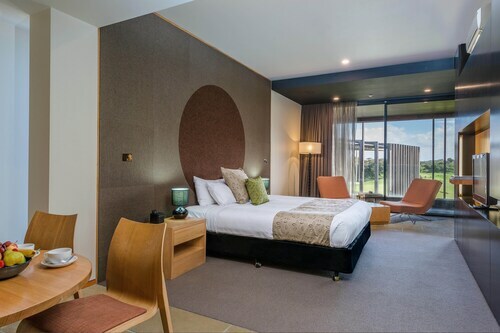 This family-friendly Cape Schanck hotel is within 3 mi (5 km) of National Golf Club, Ace-Hi Ranch, and Mornington Peninsula National Park. Cape Schanck Golf Course and Bushranger Bay are also within 3 mi (5 km). Situated by the sea, this motel is 2.5 mi (4 km) from Frankston Arts Centre and within 6 mi (10 km) of Foreshore Reserve and Manyung Gallery. Mornington Racecourse and Barmah Park Wines are also within 9 mi (15 km). Situated near the beach, this motel is 1.2 mi (1.9 km) from Rye Beach and within 6 mi (10 km) of Pennisula Hot Springs and The Dunes Golf Links. Arthurs Seat State Park and Blairgowrie Beach are also within 6 mi (10 km). 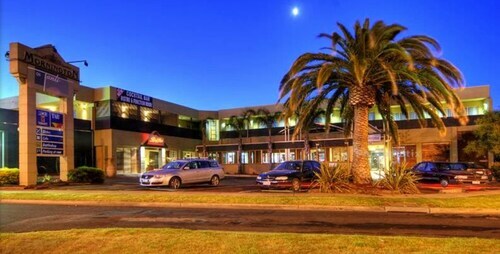 Situated in Mornington, this hotel is 1.1 mi (1.7 km) from Mornington Park and 2.3 mi (3.7 km) from Mornington Racecourse. Mornington Country Golf Course and Manyung Gallery are also within 3 mi (5 km). 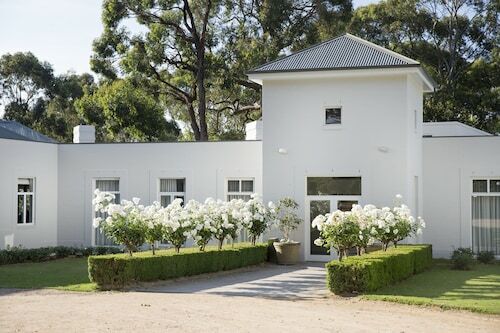 Situated in Arthurs Seat, this luxury bed & breakfast is 1.3 mi (2.1 km) from Heronswood Garden and 2.6 mi (4.1 km) from Main Ridge Winery. Pennisula Hot Springs is 10.8 mi (17.3 km) away. Situated in Arthurs Seat, this luxury bed & breakfast is 2.9 mi (4.7 km) from Heronswood Garden and within 12 mi (20 km) of Paringa Estate and Pennisula Hot Springs. National Golf Club is 12 mi (19.4 km) away. 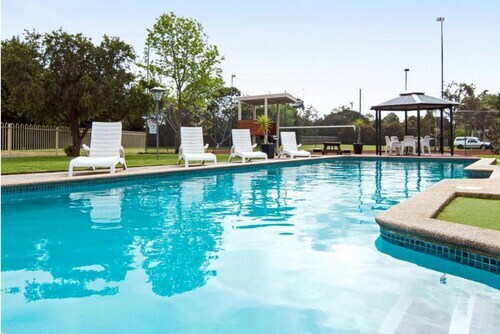 Located by the ocean, this family-friendly hotel is within 9 mi (15 km) of Bushranger Bay, National Golf Club, and Paringa Estate. 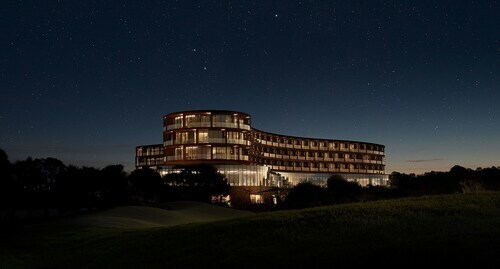 Cape Schanck Golf Course and Port Phillip Estate are also within 12 mi (20 km). 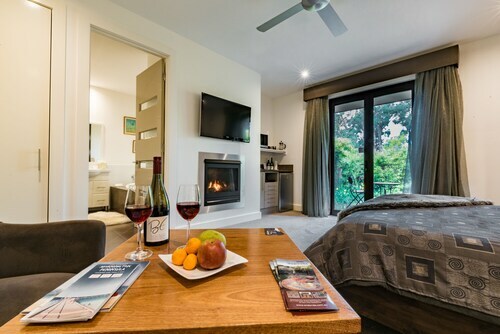 Situated in the mountains, this luxury bed & breakfast is 0.8 mi (1.3 km) from Arthurs Seat State Park and within 3 mi (5 km) of Heronswood Garden and Main Ridge Winery. Redhill Recreation Reserve and Foxeys Hangout are also within 6 mi (10 km). Imagine lazy beachside holidays that come with green hinterlands and wild ocean beaches. 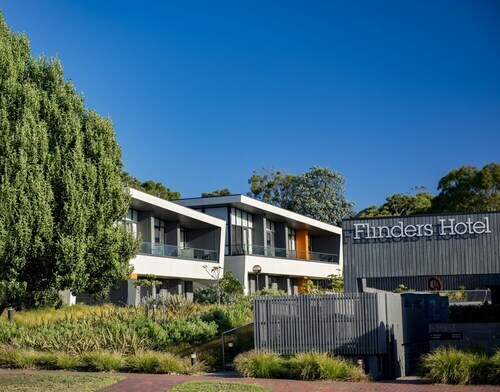 Dream no further and escape to Victoria's coast with our great rates on Mornington Peninsula hotels. Mornington Peninsula is a region made up of many seaside villages and lots of explore. Drive along the coastlines of the Mornington Peninsula to discover cliff-top mansions, grand historic gardens and art galleries bursting with colour and life to tempt your senses. Relax and soothe your senses with a soak in a hot spring or with the scent of fresh flowers at the Ashcombe Maze & Lavender Gardens. If you are an outdoor lover, the bays and peninsulas of the area will excite you with every type of water sport you can wish for, from sailing to scuba diving, fishing to sea kayaking. Remember to pack your golf clubs – the Mornington Peninsula has 18 golf courses, each with excellent natural golf terrain and stunning views. The adventurous walker can find miles of coastal trails, through national parks and on peaceful country lanes. The more daring can enter the Two Bays Trail Run, a sporting event held in January, which leads runners along 28 kilometres of picturesque track. Prefer to cycle? Then enter Bupa Around the Bay, Australia’s largest one day bike ride, and raise funds for charity. This event is held in October. Of course, the Mornington Peninsula is alive with other events and festivals, especially during spring. The Main Street Mornington Festival held during October is the most popular event of its kind on the Peninsula and has live performances, food stalls and activities available for the whole family. The Hinterland Scarecrow Festival Trail, held from September to October, is a unique festival where visitors can explore scarecrow creations and farmyard art scattered throughout the region. The Mornington Peninsula is also great for shopping, with the region offering everything you could possibly want. 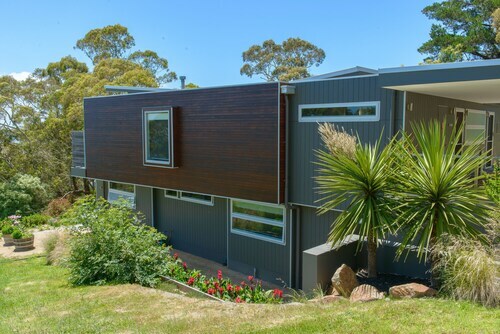 Check out a variety of designer wares at Mornington, Mount Eliza and Mount Martha or splurge at luxury stores in Portsea and Sorrento, two of Australia’s most expensive regions. Take a stroll down the beach and explore the shopping centres and boutiques at Dromana, Rosebud and Rye or indulge in one of the day spas in the area. Or if you prefer, head to the Red Hill Community Market, held on the first Saturday of the month during May to September, or the Mornington Racecourse Market, held every second Sunday of the month. These markets are home to stalls that sell unique gifts and crafts as well as delicious food to either eat there or take home. Speaking of food, the Mornington Peninsula is also a popular wine region. 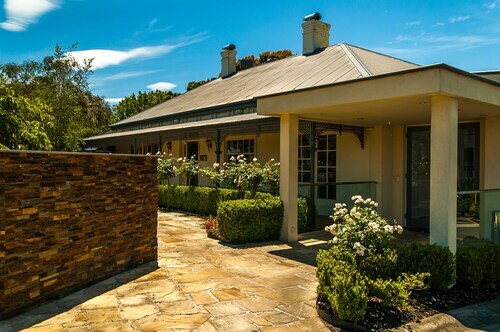 The area has over 50 cellar doors and these, along with restaurants and cafes, can mean that your food and wine adventure can stretch past lunch and well into dinner! The best thing about the Mornington Peninsula? It’s only an hour from Melbourne, one of Australia’s most popular cities. Fly in with one of our cheap flights to Melbourne and take an hour-long drive or train ride down to this beautiful region. So what are you waiting for? 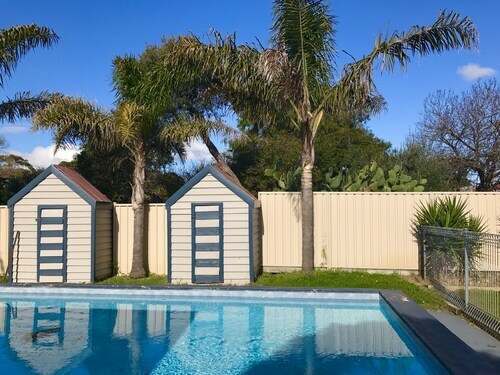 Book your Mornington Peninsula accommodation, which includes two-bedroom and three-bedroom hotels, today. Need insider tips on must-see attractions in Mornington Peninsula? Check out our Mornington Peninsula travel guide! 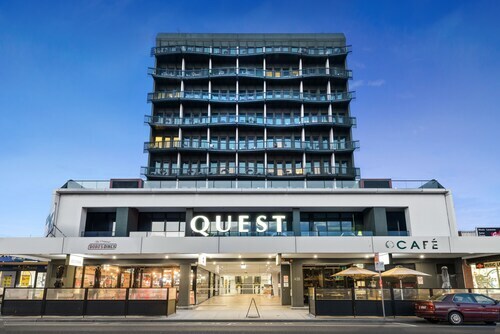 How Much is a Hotel Room in Mornington Peninsula? 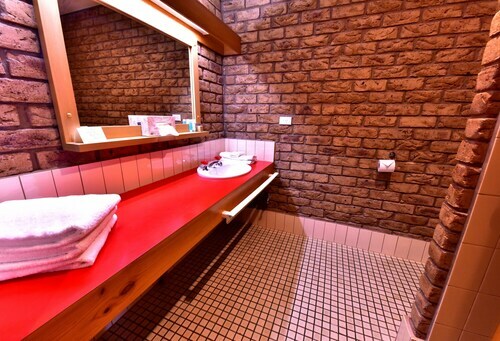 Hotels in Mornington Peninsula start at AU$62 per night. Prices and availability subject to change. Additional terms may apply. Staff could not have been more friendly and helpful.